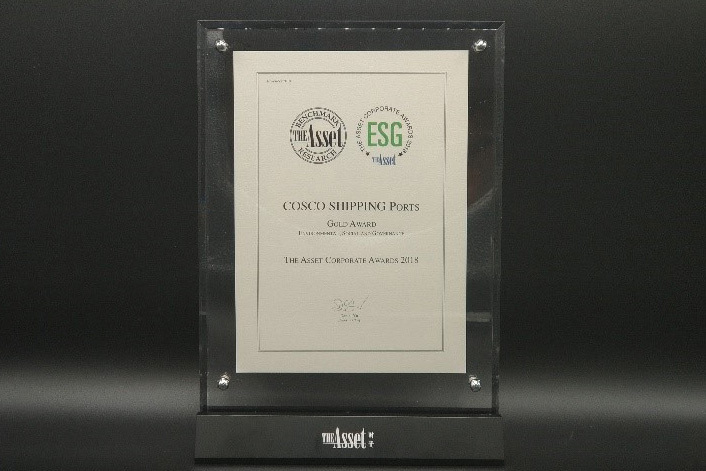 COSCO SHIPPING Ports Limited ("COSCO SHIPPING Ports" or "the Company") announced today that it won "Gold Award in Environmental, Social and Governance" awarded by the Asset Magazine with outstanding performance in environment, social responsibility and corporate governance. The Company has won this award for the eighth consecutive year. The Asset Magazine selected outstanding companies which have excellence performance in sustainability, environmental protection, corporate governance and investor relations.